Eileen Lanphier Rizvi and her husband, Nusrat Rizvi, have visited India's magnificent Taj Mahal, which served as inspiration for their Lanphier Day Spa now at a new location at 20 West Ave. in Darien. "Coming in the entrance and coming down the stairs with the white marble makes me feel like I'm in the Taj Mahal," said Lanphier Rizvi. The spa opened 18 years ago on Old Kings Highway. The new spa, across from the Darien train station, opened in mid-June and is considerably larger and more contemporary, and has created an opportunity for added services and a couples' lounge. "We're doing more reflexology and more aromatherapy. It has allowed us to accommodate all treatments in a better environment," said General Manager Patricia Mavrides. That better environment starts even before guests enter the spa. The parking lot is relaxing and attractive with numerous trees, and the spa sits next to the serene Tilley Pond Park. The new spa is also now the first United States flagship store and spa for Decleor Paris, providing signature skin care, aromatherapy and body treatments, "just as they're done in Paris," Mavrides said. 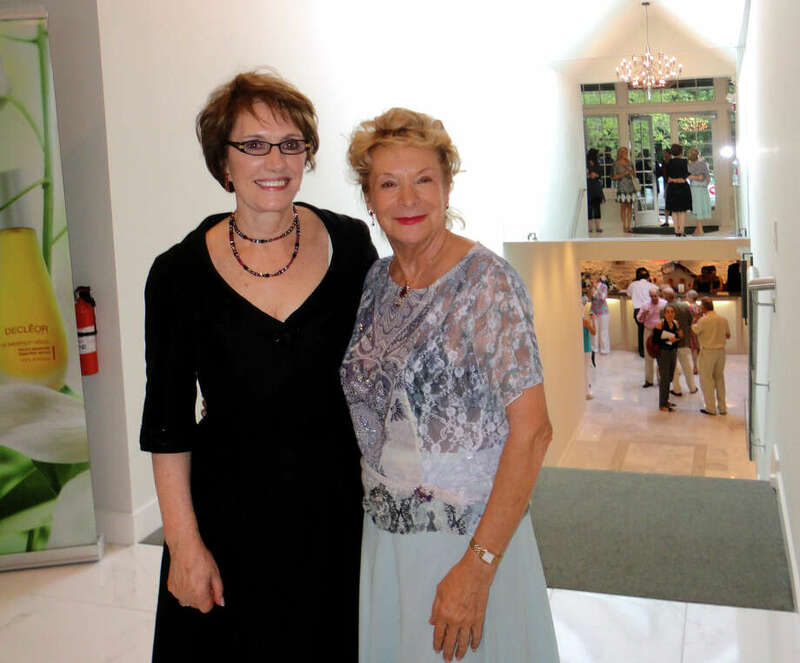 Solange Dessimoulie, founder of Decleor, traveled from Paris for the July 25 grand opening celebration. "I love this new spa with the skylights and brightness, not just for the beauty of natural light, but for practicality. The skylights give the color department true color. You get to see the natural color of people's hair, and the colorists can produce better results than in artificial light," Lanphier Rizvi said. The grand opening gave hundreds of long-time clients and prospective patrons a glimpse of the facility. "This is the most magnificent salon. I travel all over the world. This is phenomenal," said client Bonnie Frate Dora, of Darien. "There is no comparison (to the original). This is absolutely spectacular. The decor is perfect, the ambiance is perfect. It's relaxing just walking through the door. It's the perfect spa environment," said Christina Andrews, a Decleor representative. The spa's boutique will open in September with make-up, skin-care products, accessories and gift items. For more information or to schedule an appointment, call the spa at 203-656-4444 or visit www.lanphierdayspa.com.